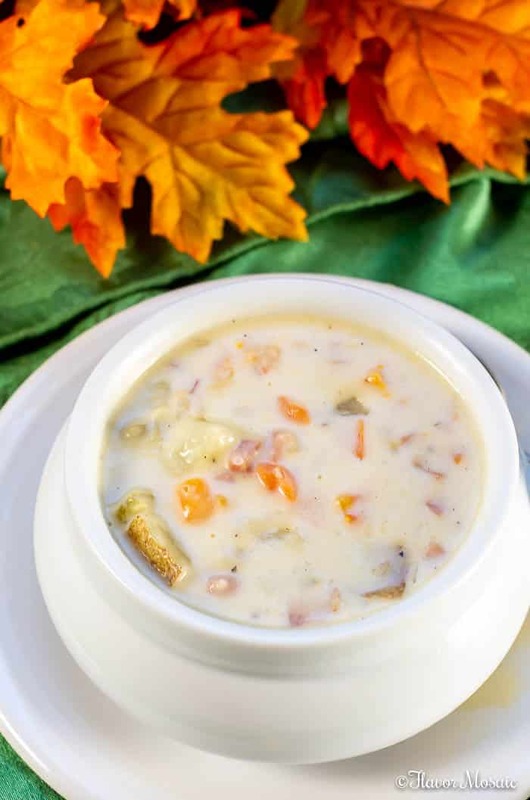 Leftover Ham and Potato Soup is an easy and delicious way to use up leftover ham and potatoes to make a creamy, comforting fall or winter soup. T’was the day after Christmas and all through the house, not a creature was stirring, not even my spouse…. That pretty well describes our day after Christmas….lazy and restful, except for some cleanup. So I wanted something easy for dinner that night that would use up the leftovers from the day before. This year we had ham for Christmas over at my sister’s house. We generally alternate between turkey and ham. Since a number of people in my family were leaving to go on a trip today, we took some of the leftover ham home with us. I came up with this recipe for Leftover Ham and Potato Soup out of necessity. 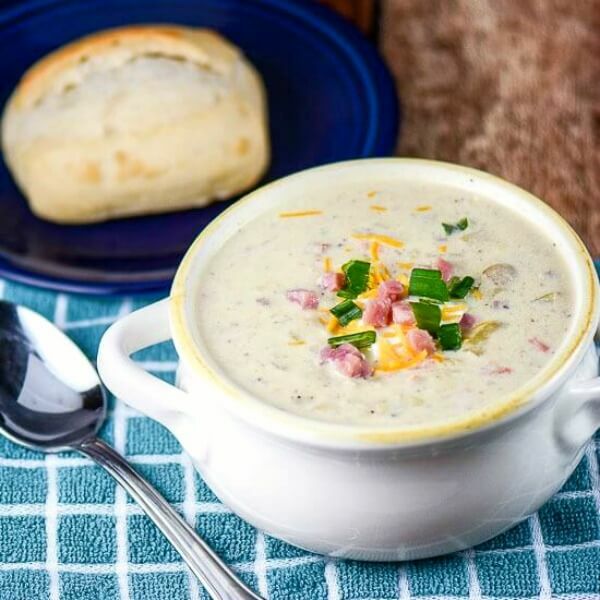 This Leftover Ham and Potato Soup would make a wonderfully comforting dinner. I added some additional vegetables including, onion, celery, and carrots. 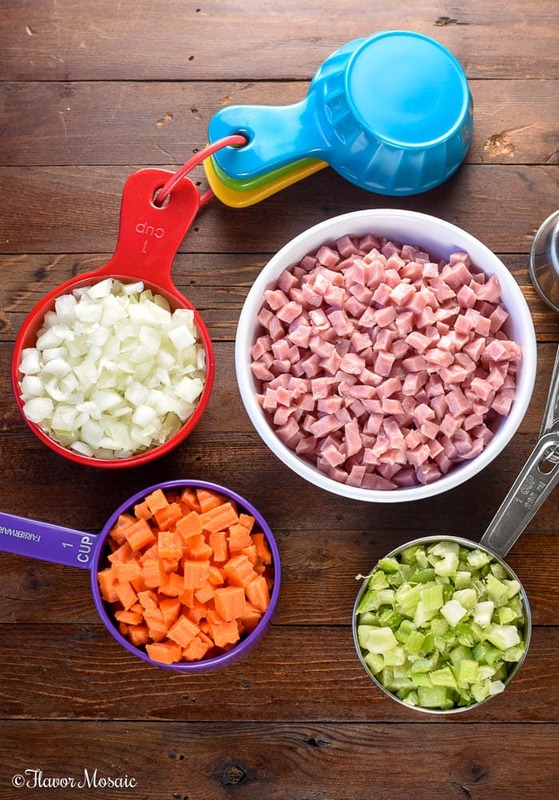 What Ingredients Are In Leftover Ham and Potato Soup? 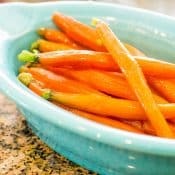 The wonderful thing about this soup is that it uses common ingredients that you likely have on hand or that are readily available at most grocery stores. 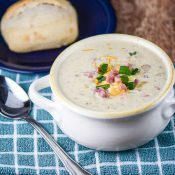 How Do I Make Leftover Ham and Potato Soup? 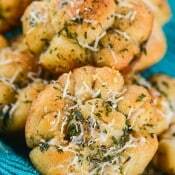 In a dutch oven or large pot, over medium-high heat, melt butter. 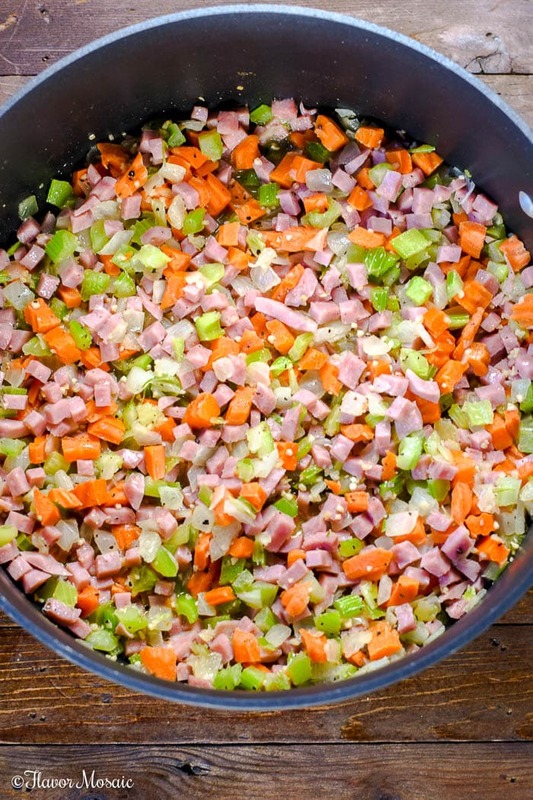 Add onion, celery, carrots, and ham; cook for approximately 5 minutes, or until onion is soft and ham begins to brown. Stir in minced garlic and cook for about a minute. Add flour and stir for about a minute, or until well blended. Add broth and stir; let cook until thickened and bubbly. Add potatoes; bring to a simmer. 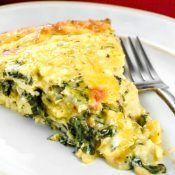 Reduce heat to medium-low, cover, and cook for 15 minutes, or until potatoes are tender. Add cream (or milk), red pepper flakes (if desired), and black pepper; cook for 2 minutes. Stir in cheese and sour cream until well blended. 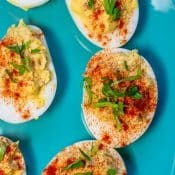 Garnish with sour cream, cheese, and chopped ham. I sautéed the ham and vegetables in butter. You could certainly use olive oil, coconut oil, or your choice of oil. I chose the butter this time because it adds such a delicious flavor. After sautéing the ham and vegetables, add the flour, chicken broth, cream (or milk), and follow the rest of the directions below. 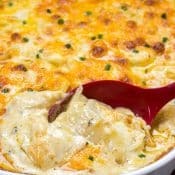 The result is a comforting, satisfying bowl of creamy, cheesy, potato-ey (is that a word? ), soup. 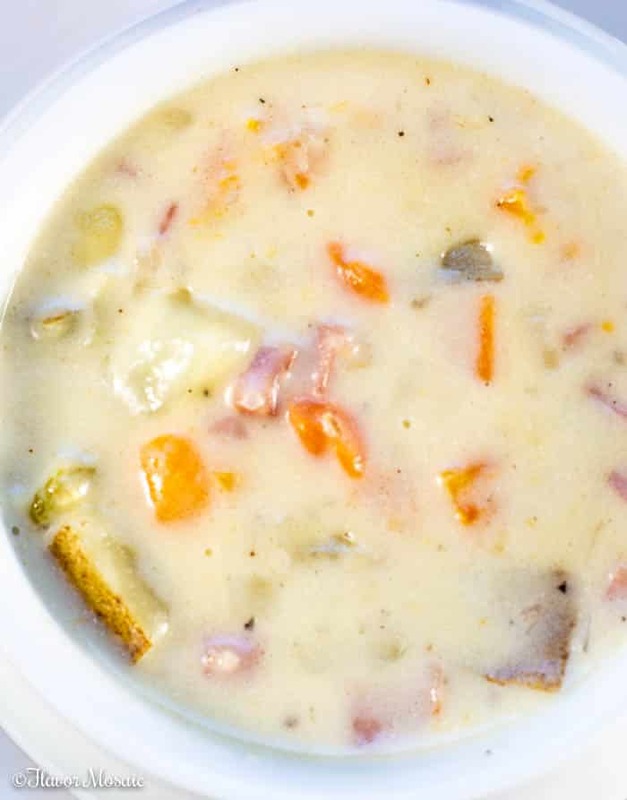 What To Serve With Leftover Ham and Potato Soup? I like to serve it with some French bread or crusty bread. 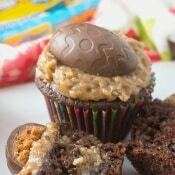 You could serve it with a salad if you like. 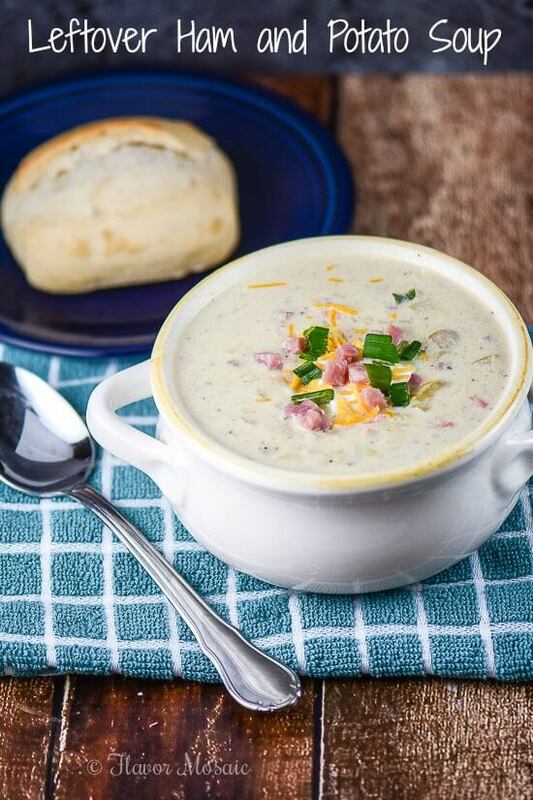 This Leftover Ham and Potato Soup is pretty much a meal in itself. For which occasion will you make this soup? 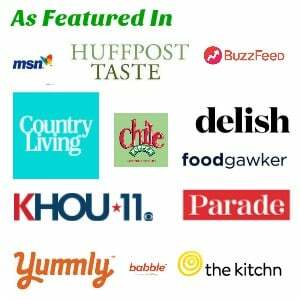 Have a Happy Holidays and Happy New Year, and be sure to visit Flavor Mosaic for more yummy recipes! 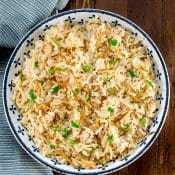 This recipe was originally published on December 26, 2014, and was republished on December 3, 2018, with additional photos and additional information about how to make the Leftover Ham and Potato Soup. 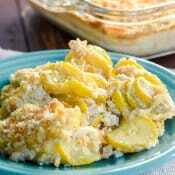 Made this tonite (I doubled the ham-just to get rid of it) and used half cream and half 2% milk–LOVED IT!!!! Hi Karen, Thanks so much for letting me know you tried it. I’m so happy that you loved it! It is such a great soup.